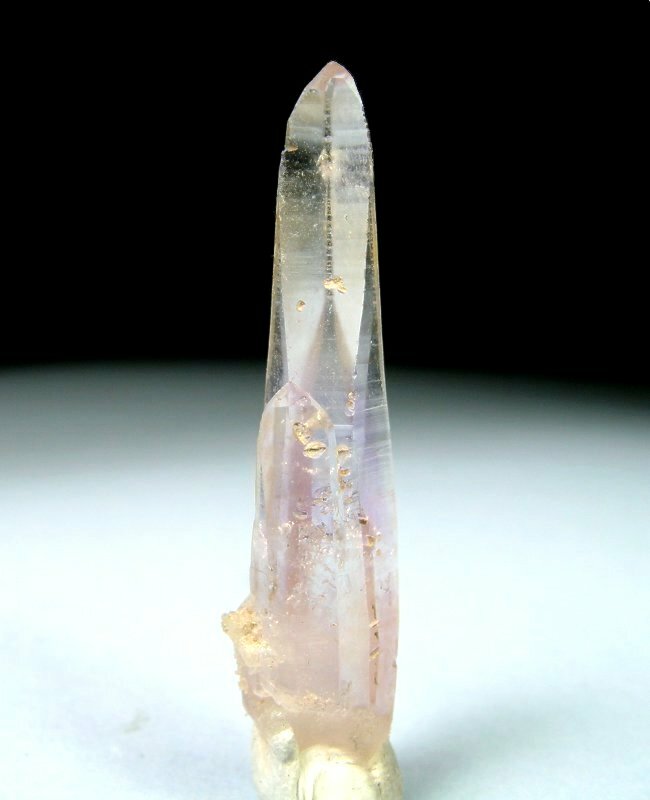 Quartz- SiO2 - Colorless quartz, amethyst scepters (to several inches). Crystals are typically gemmy and exhibit hoppered faces. 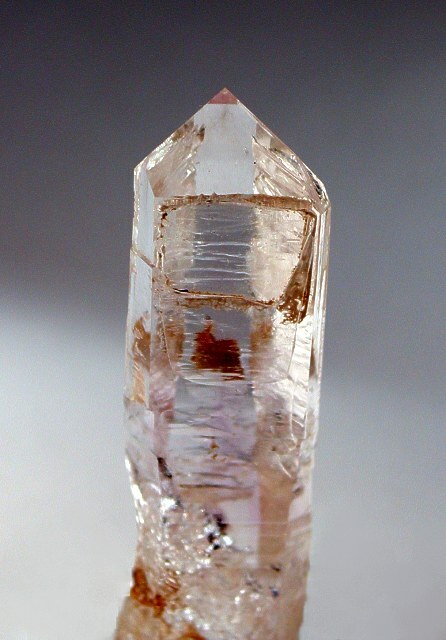 Extremely rare Muzo habit crystals can be found exhibiting a triangular cross-section perpendicular to the c-axis (3 rather than the typical 6 prism faces).